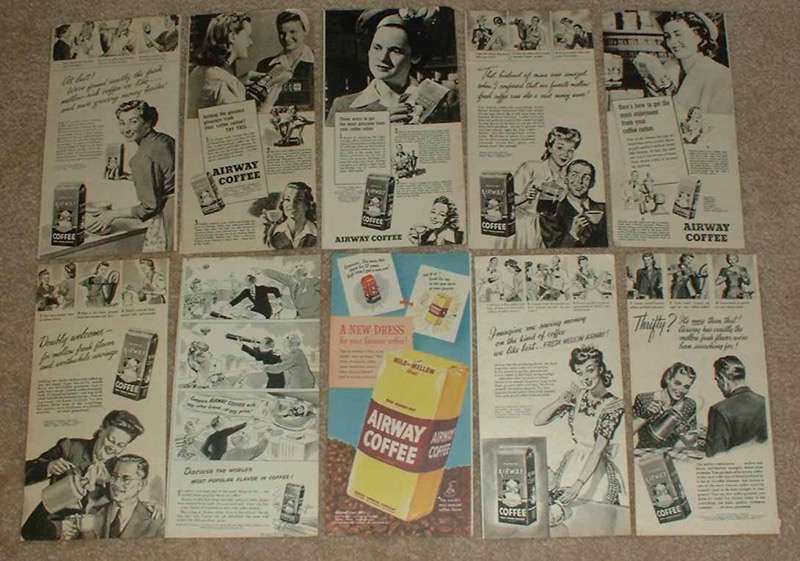 HUGE Lot of 36 Airway Coffee Ads, 1943-1953 - NICE!! 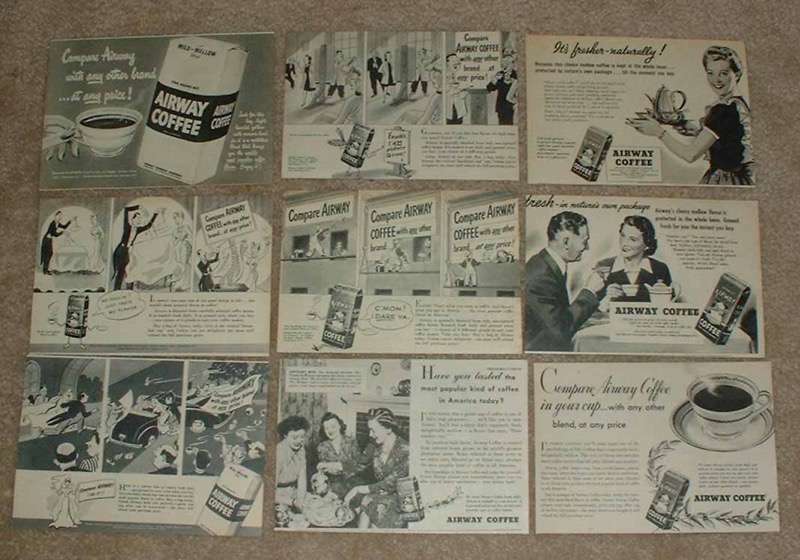 Vintage Paper Ads > Clearance Lots > HUGE Lot of 36 Airway Coffee Ads, 1943-1953 - NICE!! 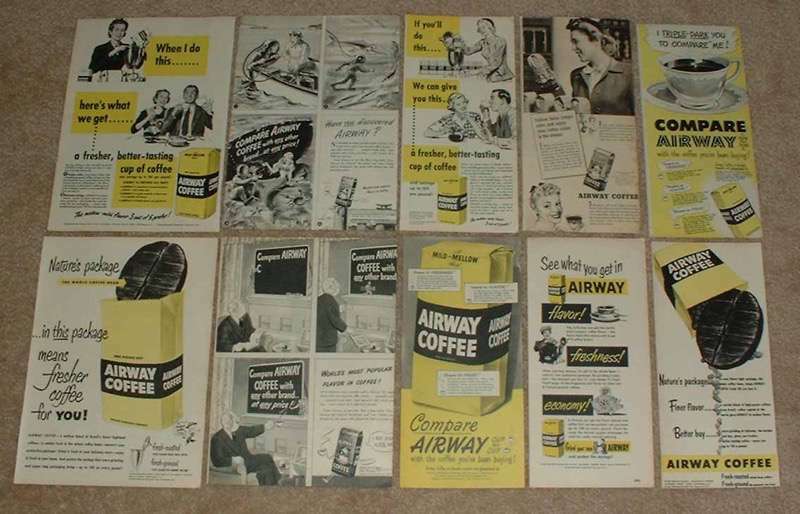 This is a HUGE Lot of 36 Airway Coffee ads, ranging from 1943-1953! These ads range in size, mostly from approximately 8.5x11 inches to about 5.5x8 inches. The ads are in good condition overall, although some may exhibit slight staining, creasing and/or other wear. These vintage ads would look great framed and displayed! Add them to your collection today!